• Displays batch total volume & overall total volume! 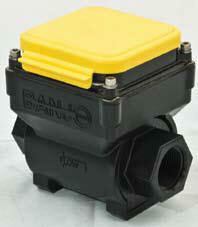 • Flow rate allows for Gallons or Liters Per Minute. and 1 decimal place reading in tenths. • Magnetic style meter with stainless steel electrodes. • Measures water and most conductive liquids. • Easy to change six (6) AA batteries. • No moving parts to fail during use. 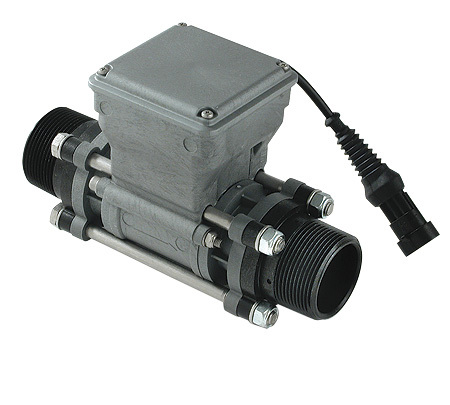 • Temperature range from 0º F to 150º F.
Accuracy is 99% from 2 to 110 GPM for 1". • Accuracy is 99% from 6 to 300 GPM for 2". • Accuracy is 99% from 14 to 670 GPM for 3". 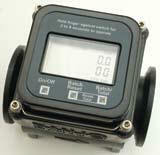 • There are 3 photoeyes located on the face of the flowmeter. your finger over the photoeye for 2-4 seconds. Digital technology converts fluid ion flow into gpm, virtually making mechanical flowmeters obsolete. 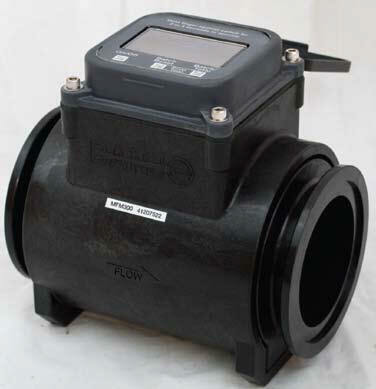 These precise flowmeters work by utilizing sensors to relay pulse signals and convert them into gpm readings.